During the mandolin orchestra when a guest composer was impressed by an orchestra, they wrote a piece for that orchestra to play. Samuel Siegel wrote this march for the New York Ideal Mandolin Orchestra. We play it as our tribute to Mr. Siegel who performed a concert in Bozeman Montana in 1902. This playing inspired our predecessors, The Bozeman Mandolin and Guitar Club. Muriel Johnstone dedicated this gorgeous Scottish waltz to Roy Goldring with whom she has collaborated on many occasions. This tune is named after Canisp, a mountain in Scotland near Lochniver, Ross and Cromarty. It features Sara Williams on the violin, with the mandolins taking a supporting role. Most of the pieces attributed to Turloch O' Carolan have survived with only the melody line and no accompaniment. Inspired by Simon Mayer's arrangement of this Irish tune, The Montana Mandolin Society brings it's personal touch to the music, making a part of the “Montana Sound”. We speculate this is how it may have been played in a baroque setting considering that O'Carolan was influenced by the music from Italian sea merchants. Featuring the sixteen year old Megan Waldum, our youngest musician, playing Peter Ostroushko's stunningly emotional melody. Megan earned a tearful standing ovation at the Kennedy Center in Washington D.C. for her rendition. The mandolin melody is complimented by the cello and classical guitar rounding out the trio. This piece, an audience favorite, is a fine example of the many dimensions that makes up this musical society. Dennis White first heard Bob Black practicing this tune on the banjo in the back of a van traveling from San Antonio to Nashville. Later Bob Black recorded it for his first solo banjo LP “Ladies on a Steamboat”. Whether this was Beethoven's composition is subject to legend. The music was documented in Elijah Howe's collection of the 1840's. We were influenced by the old time fiddling of James Bryant. Both of these pieces are Brazilian in origin; the first is derived from a traditional song and the second is based on a dance”Choros”. In 20th century Brazil, however, the term Choro evolved to have many meanings, one is as an instrumental piece characterized by a syncopate rhythm. Steve and Kris bring the influences of the rich Bozeman classical guitar community to the society. This piece can be played in a variety of ways, and lends itself nicely to large mandolin orchestras or a trio: mandolin, mandola, and mandocello. The Montana Mandolin Society's version sounds mysterious, like something you would hear in a darkened French cabaret. During the mandolin era, the musical focus was fueled by the popular Cadenza-a musician's trade magazine of the time. The Cadenza spot-lighted two or three finger playing of the five string banjo, the neopolatin mandolin and the spanish guitar. Both of these tunes were composed on the give string banjo played in the three finger style. It isn't very often that you hear the banjo playing a jig! The Montana Mandolin Society breaks new ground as we feature the banjo with its oriental cousin, the hammer dulcimer. Close your eyes and let the notes float while Dennis hunt and Craig Hall exchange jazz licks. This soulful melody is a jazz standard rarely played on the mandola. Inspired by the Bridger Mountains that overlook Bozeman. In August of 2001, we were delighted to play this piece for the Honorable Mike Mansfield whose home was always in Montana. The ninety eight year old statesman closed his eyes, listened, and remarked how his lovely wife Maureen would have loved this song. 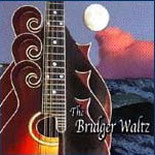 We dedicate The Bridger Waltz to Mike and Maureen Mansfield. Mozart did indeed compose for the mandolin, although this piece was not composed for the mandolin, the versatility of the instrument is highlighted in this version. This elegant tune was named after the Augusta Heritage Festival at Elkins, West Virginia. Sam Rizzetta recalls the memorable late-night jam sessions where the music gets 'really magical' around midnight. This is a good example of the feeling of chord movement. In order to hear the following clips by the Montana Mandolin Society, be sure to have Quicktime checked or chosen as a media player for this browser. You can set this up in your browser preferences.